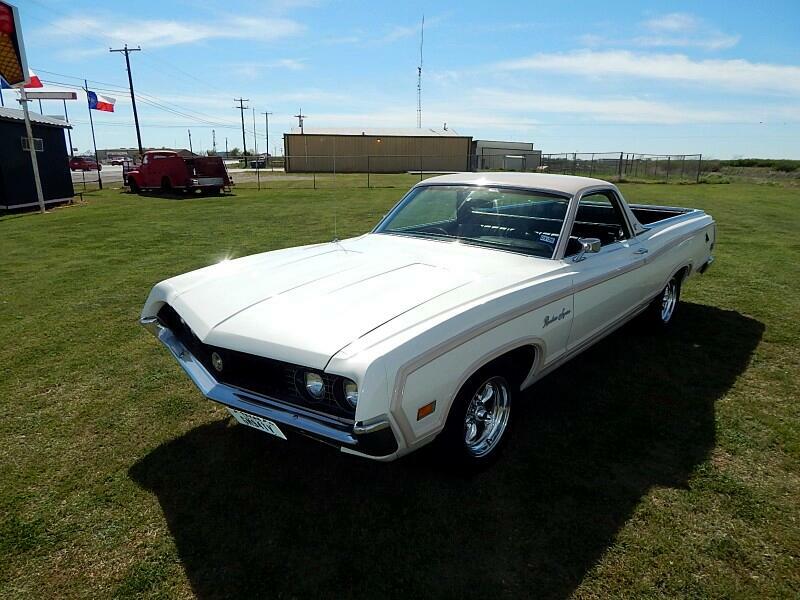 Just in to Lone Star Muscle Cars inventory is this clean, well-maintained 1970 Ford Ranchero Squire with a 351 4V 8 cylinder engine. Ford made less than 3900 Rancheros with this specific engine. This unit has 8039 miles, automatic transmission, a brand new AC(you'll need that for the hot summertime), new tires, white exterior and beige vinyl interior. This is the Coke bottle body style that's been so popular with Ranchero collectors. Call Ernie to schedule your test drive, 940-733-4599.